Having lived in upstate New York for the first 24 years of my life, only a short trip up 87 north to the great Adirondack park, my move to NYC was a bit unwelcome from the outdoorsman in me. I had no idea the terrain in downstate New York would be able to match up to upstate's outdoor treasures. 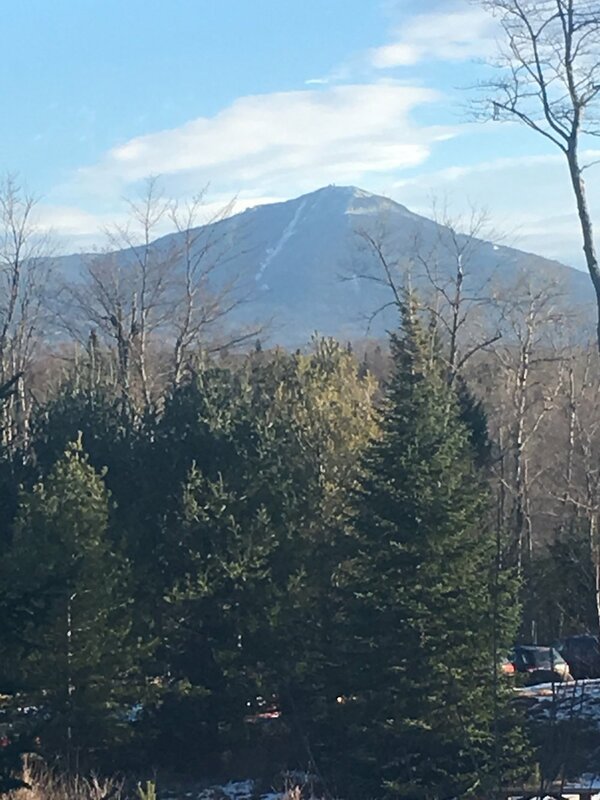 I started on skis when I was around five or six years old, and since then have spent most of my time skiing in the Adirondacks at Gore Mountain and Whiteface Mountain. As a lover of the winter and the son of a Ski Instructor, skiing, as opposed to hiking, was my main focus while on the mountains as a young person. I'd say that most of us in upstate towns nearby the Adirondacks had some experience either skiing, snowboarding or at least found some activity to enjoy winter in the mountains. It really wasn't until I moved to New York City that a continual hobby in hiking became my go-to weekend outdoor activity. It became clear, at least to me, that it was pretty easy to throw on hiking boots and head north on the metro-north train to find a mountain or trail to hike for the day. As New Yorkers, we've got the good fortune of having a (usually) reliable public transit system that allows us to travel north towards the Hudson Valley region, where there are thousands of hikes, trails, parks and reservations to enjoy the great outdoors. I've just recently been more actively embracing some of what downstate has to offer - the Hudson Highlands, the Catskills, Minnewaska State Park Preserve, part of the Appalachian Trail, etc. - the terrain is endless. I wanted to start a blog that illustrated just some of what this great state has to offer, both for city dwellers and for upstaters. I'll try my best to do as much hiking and capturing of terrain as possible, and am always open for guest-posts, pictures and information from fellow New Yorkers who've been able to take advantage of the vast terrain of New York state. In my professional life, I am a Vice President at the Marwood Group, an international healthcare advisory firm with offices in New York City, Washington D.C. and London. I've worked at a few other healthcare companies including managed care plans and a healthcare services provider. I received my BS in Biological Sciences from Union College, and an MBA in Healthcare Management from Union Graduate College (Clarkson University Capital Region). Summit shot from Mt. Beacon in Beacon, NY. I took Fishkill Ridge from the north and made my way over to Beacon's summit in March, 2018. Thank you for taking the time to read through my brief bio. I hope you can utilize this website for hiking location ideas and guidance on the hike. Please reach out if you have any questions, comments or ideas. Safe hike!